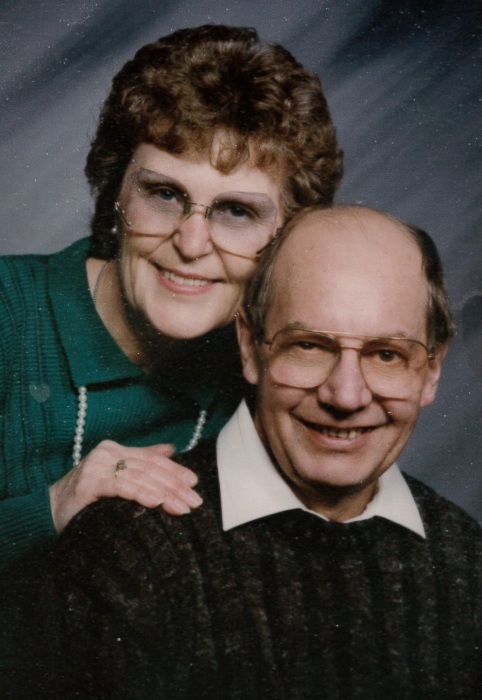 Obituary for Mr. Robert A. and Mrs. Shirley L. (Knowles) Nelson | Hinchliff-Pearson-West, Inc.
Mr. Robert A. Nelson, 86, made his final journey to be home with the Lord on January 20, 2019. Just five days later on January 25, 2019 his beloved wife, Shirley L. Nelson, 84, joined him to be with her beloved husband and the Lord. Robert and Shirley both resided in Galesburg until a recent move to Onalaska, Wisconsin last February. Robert A. Nelson was born on July 8, 1932 in Galesburg to George W. and Lula (Chambers) Nelson. Robert was born and raised in Galesburg where he graduated from Galesburg High in 1950. Shirley L. Nelson was born on August 14, 1934 in Galesburg to James R. and Pearl (Peacock) Knowles. Shirley was also born and raised in Galesburg where she graduated from Galesburg High School in 1952. Robert and Shirley met while ice skating on Lake Storey when they were teenagers. They were later married on July 8, 1952. They were married for 66 loving years. During their marriage Robert served in the United States Armed Forces for two years at Fort Bliss, Texas. He later returned home where he became the owner and operator of Bloomquist Shoes for 42 years before retiring in December of 1995. His wife Shirley spent her career, first working for the former Gale Products, Division of Outboard Marine Corporation, for 15 years before joining her husband at Bloomquist Shoes until her retirement alongside Robert. Robert and Shirley enjoyed golfing, vacationing in Alabama, and a trip to the casino every now and then. Shirley took pride in her flower beds around their home, while Robert enjoyed growing his delicious tomatoes. Over the last years, their true joy was spending time any chance they had with their son, grandson, granddaughter-in-law, and great granddaughter. Their family brought them an immense amount of joy in their lives. Robert and Shirley are survived by their son, Steven J. (the late Claudia) Nelson of La Crosse, their grandson, Robbie (Charlene) Nelson of Trempealeau, Wisconsin, and their great granddaughter, Hadleigh Nelson. Robert is also survived by one brother, John Nelson of Galesburg. Robert is preceded in death by his parents, two sisters and one brother. Shirley is preceded in death by her parents, three sisters and two brothers, one of which was lost as an infant. They were both preceded in death by their daughter-in-law, Claudia. Funeral services for both Robert and Shirley will be 1:00 pm Wednesday, February 6, 2019 at Hinchliff-Pearson-West Funeral Directors and Cremation Services Galesburg. Military Rites will be conducted at the funeral home following services by the VFW, American Legion, AMVet Honor Guard. Chapel. Bishop Todd Hendrickson will officiate. Visitation will be from Noon-1:00 pm Wednesday at the chapel. Burial will be in East Linwood Cemetery. Memorials may be made to the charity of the donor’s choice. Online condolences may be made at www.h-p-w.com.